A high-performance tire for premium SUVs. 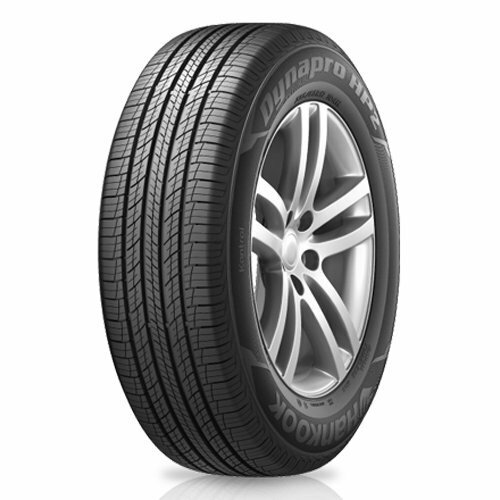 The dynapro HP2 meets all the conditions required for premium European SUVs including excellent wet performance, low noise, low rolling resistance and excellent mileage. Jointless full cover reinforced belt improves high speed stability and maximizes the tire's road contact for improved handling. High loading silica compound improves dry and wet traction and rolling resistance is lowered. Strong single strand bead wire for better steering and handling response. High density polyester carcass for better steering and handling response. Wide 2 steel belt layer gives better dry and wet handling.